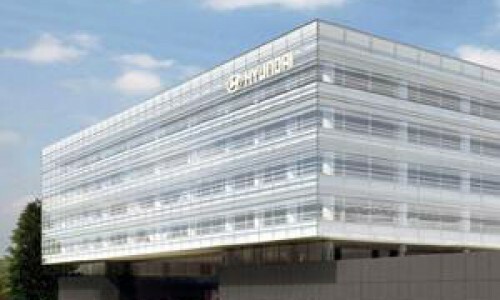 The new headquarters building is 419,000 sq. ft. and six stories high. A one-story, 50,000 sq.ft. technical services facility connects to the main building. An adjacent parking structure will also be built on the site. The focal point of the building is its impressive two-story high entrance, which leads to an open-to-the sky public courtyard in the building’s center.